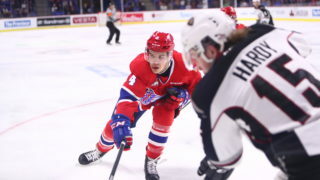 TORONTO – The Spokane Chiefs selected teammates Ondrej Najman (First Round, 22nd Overall) and Pavel Kousal (Second Round, 82nd Overall) today in the 2016 CHL Import Draft. Both players are from Jihlava, Czech Republic. Najman (“NY-man”), a 1998-born forward, stands at 6-foot-1 and 187 pounds. He was the leading scorer for HC Dukla Jihlava of the Czech U20 Extraliga, scoring 18 goals and 26 assists for 44 points in 38 games, including four multi-goal performances. Najman competed for the Czechs at the 2016 IIHF U18 World Championship in Grand Forks, N.D., scoring three goals and three assists in five games. Kousal (“KOO-suhl”), a 5-foot-11, 158-pound forward, scored 20 goals and 23 assists in 38 games with the same Dukla Jihlava U20 team, including a stretch in which he scored a point in 11 of 12 games. He added three assists in the Czechs’ five games at the U18 World Championship. Kousal has a late 1998 birthday (November) and will be eligible for the NHL Entry Draft in 2017. 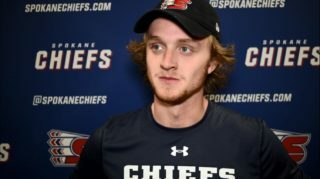 Forward Dominic Zwerger, who will be 20 years old on July 16, will also be in the mix for the Chiefs. 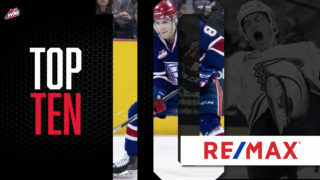 The three-year WHL veteran led the team with 27 goals scored last season. 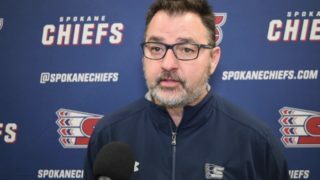 Spokane will have until a date TBD to get under the CHL-mandated limit of two import players. NOTES: Najman and Kousal were two of 12 Czech players selected in the 2016 CHL Import Draft. Only Russia (24) and Finland (13) had more players taken. 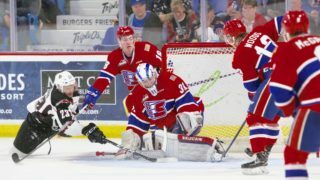 The Chiefs were one of seven WHL teams to make two selections in the draft. Five teams did not pick. Ticket packages for the Spokane Chiefs’ 2016-17 regular season – including Bud Light Opening Night on October 1 – are on sale now! With packages starting as low as $70, there’s a plan for any budget. 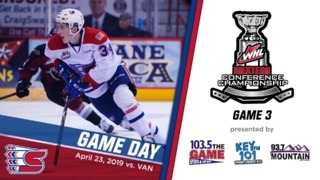 Visit the Chiefs’ Ticket Office in person at the southeast corner of Spokane Arena, click here or call 509-535-PUCK for more information.